In this era of the digital world, the internet plays a crucial role in everyone’s life. However, with great technology comes greater threats. Threats like data breaches, phishing, hacking, data loss to rivals, malware attacks and so much. Maximum of the monetary transactions happen over the web for all the companies, and all the information are exposed too. To stay secure and well protected, cyber risk insurance is almost mandatory like any other general insurance. It will protect you from huge financial losses if any data breach happens, also it will try to bring your data back. Not only that, the benefits are significant. Let’s have a look at them. Cyber risk insurance brings protection from any kind of financial loss due to any kind of cyber attacks on your company, in fact for individuals also. In case you become a victim of cyber crime, all your prosecution cost, attorney costs, defense cost, and other minor expenses will be covered under the insurance. It gives you trusted protection from any kind of financial losses happening due to cyber attacks. When you insure yourself with cyber risk insurance, you enjoy the facility of cyber safe policies offered to you. Any kind of identity theft will be protected in this policy, as well as social media liability and social Stalking for an individual. Email phishing, IT theft loss is one of the most beneficial security you can afford in affordable premiums. Cyber extortion is also covered under the same scheme. Most of the employees stay worried about any kind of cyber attacks on the company, and they may be held liable for the same. With cyber risk insurance, it is extremely easy to give them a sigh of relief, as they will not be held liable for any kind of cyber loss. This relief will boost them to work more confidently and will benefit you with a lump sum profit. 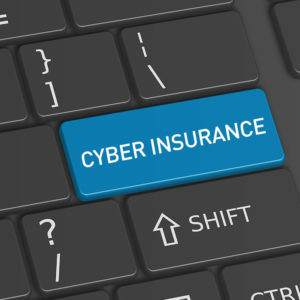 Cyber risk insurance is extremely affordable for any company and individual to afford. The packages start extremely low giving you a good amount of coverage. Also their options for multiple premiums for multiple damage controls for extra precautions. Affordable premiums will not cost you much but can save your thousands of dollars when a mishap happens. A cyber attack can make you lose loads of money in one shot, and your company may stay shut for a couple of days until all the software starts working fine. This is an unplanned loss, which no company would like to bear. However, cyber risk insurance can help you to reimburse your loss with the premium of insurance. A data breach can turn your company down within minutes. With insurances for cyber risk, you mitigate the risk immediately of data breach related financial loss for your company. These were all the benefits of cyber risk insurance, and which makes it clear that one company should always opt for it to stay protected from any cyber threats.